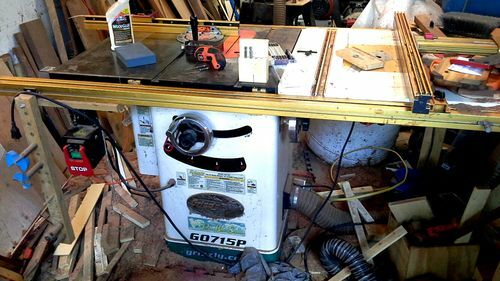 I just purchased a used Grizzly G1023RLX table saw that did not come with the rails or fence. What would you recommend for a fence system? I do not need the 50” capacity that the saw came with(I have a track saw). Incra and Vega are popular aftermarket fences. Incra won’t save you much space in the shop tho. I have a nice Delta Platinum Contractor saw with Unifence. Does anybody know if that fence and rails will bolt on? Or would I be better off just selling the old saw and buying a new fence. Is that the TS-LS or a different one? How hard was it to mount to your Grizzly? It’s an LS. Incra LS-III fence mounts easily on any saw with two mounting holes on the front & back. They have universal mounts. The Incra will bump your saw & skills to the next level – trust me. ~$200 for a Delta T3 (Biesemeyer) fence and rails at the BORG. You just missed out on a sale where they were around $180 or so. Unifence is a great fence. I’ve got the T3 like Brad mentioned. It has been a great fence. It locks straight and slides smooth. You might have to modify it to fit (drill a couple of holes) but it wouldn’t take much. With that being said, I’ve always heard great things about the unifences. +100 – but they are hard to find. Sure wish Delta would start making them again. Incra’s are different than most fences. Once zero’d they will always lock at the nearest 1/32” (or .5mm) +-0.002” every time! no double checking, no banging, no ginching, no more sneaking up on a dim. This will push you and your saw to the next level even on a Crapsman 113. series. 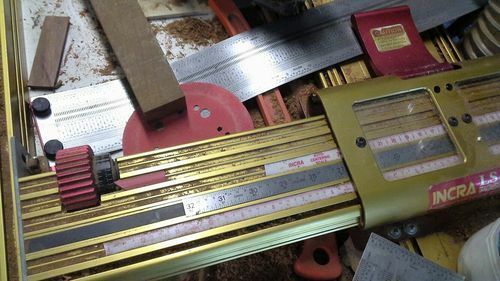 Their miter gauges are top notch and deadly accurate for all crosscuts. Grizzly sells the Shop Fox Classic, which is the stock fence on the G1023RL, and RLX. It;s a good Biese copy type fence, and will be a direct bolt on. The Vega, Saw Stop T-GLide, Jet Xacat II, PM Accufence, HTC, and Incra are all good fences too. The Unifence is a great fence too. If you can’t get a decent resale price for your Delta and Unifence, I’d definitely consider putting it on the Grizzly. How does that work with the router table? I plan on putting my Benchdog cast router table on the right, since I can’t put it on the left of my Left tilt saw due to the motor. The router shares the Incra LS-III fence with the saw. Same accuracy every time. I’ve got a 3-1/2hp Milwaukee router hiding under the plate. I would like to stand where your fence is, rather than to the side, though I am sure there is no problem doing that with the proper equipment. The router shares the Incra LS-III fence with the saw. Same accuracy every time. 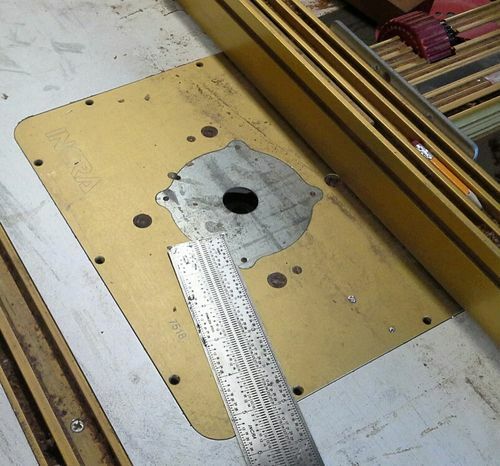 I ve got a 3-1/2hp Milwaukee router hiding under the plate.